Are you concerned a loved one is suffering from alcoholism but can’t quite read the signs? 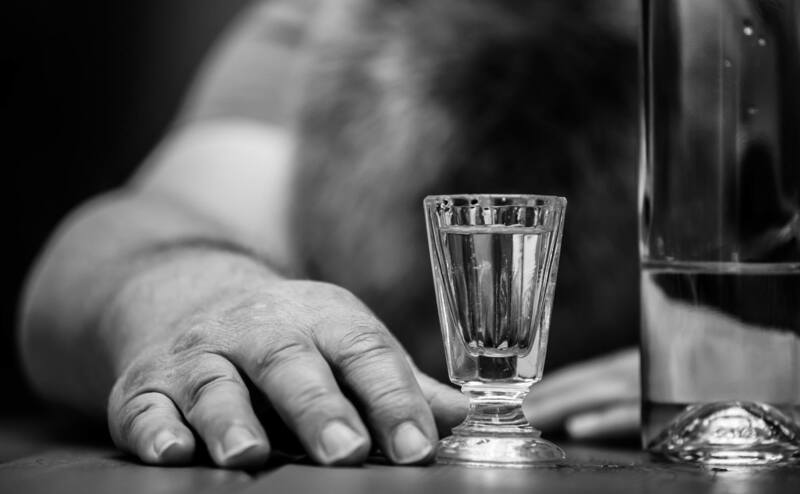 According to the U.S. Department of Health & Human Services, about 20% of alcoholics are considered to be high functioning, making it difficult to diagnose and even harder to approach and get help for the person in your life who is dealing with the disease. Alcoholism not only takes a toll on the physical and emotional health of the person abusing alcohol, but it affects the people around them; friends, family, and coworkers. Here’s how to handle and help a functioning alcoholic. When the word alcoholic is mentioned, you probably think of someone whose life is falling apart. They drink all day, can’t get out of bed, are in financial ruin and their personal and professional life has already been affected. The thing that makes a functioning alcoholic different from a severe or non-functioning alcoholic is their ability to maintain the appearance of normal life to those around them. In fact, they often times will seem to have it all. They can hold down their job, maintain personal relationships. They’re punctual and dependable and convey the appearance of business as usual. They very rarely create a serious problem as a result of their drinking that would cause those around them to question their sobriety. They are somehow able to balance over-drinking with their personal and professional lives without sounding any serious alarms. Sometimes, loved ones and friends can even help to enable the alcoholic’s behavior. Maybe they’re the life of the party when you socialize, so there is no effort to prevent putting this person in a tempting situation where overdrinking will likely occur. Maybe you also enjoy sharing a bottle of wine after work and are willing to overlook their excessive consumption in favor of continuing this ritual. This form of alcohol dependency can be particularly tricky to spot because they are able to hide their problem easily. Unless you are spending lengthy amounts of consecutive time with this person, their behavior will likely not appear to be problematic. As you begin to recognize the signs of a functioning alcoholic, it’s important to also examine your own behavior and the behavior of the people closest to this person to discover if any modifications can be made on your end in an effort to help their recovery. The behaviors and signs signaling you are dealing with a functioning alcoholic will not be the same as the signs of a non-functioning alcoholic and it’s important to know the difference. The signs will be more subtle, making it harder for the loved one to point out the problem or reference an overt change in behavior. A functioning alcoholic will refuse to acknowledge when they overdrink. They may say they partied too hard or things got out of hand, but they will never take personal accountability for their behavior and admit that it needs to be thoroughly examined. They’ll also refuse to stop drinking or seek help because they don’t believe there is a real issue which needs to be addressed. They will often consider alcohol consumption to be a reward for hard work at the office or as something they deserve after a particularly stressful day. Lastly, they likely have the fundamental belief that because they are functioning well in life, they cannot have an alcohol problem. With excessive alcohol consumption comes dishonesty about that consumption. A functioning alcoholic is a master at hiding how much and when they’re drinking. This is because their behavior may appear to be normal even though they are intoxicated. When a functioning alcoholic is drinking, they may even go out of their way to present a normal, more polished version of themselves in order to prevent those around them from becoming suspicious. The drinking may also occur in private and you can expect to receive a dishonest answer if you ask about it. A functioning alcoholic can also lie by living two separate lives. Perhaps at work, they are one person and when they come home, another side of them comes out; one who can drink excessively and still manage to show up to work on time the next day. In this instance, they are lying to both their co-workers and their partner at home or anyone deeply involved in their personal life. When you’re with this person, be cognizant of their drinking habits. Do they have a particularly high tolerance? Have you watched this tolerance slowly increase over time? When a functioning alcoholic enters a social situation, their drinking patterns will become obvious if you’re paying attention. Some other things to look for are convincing the rest of the group to drink more. Consuming drinks at a faster pace than those around them and the inability to have just one or two drinks. Now that you understand what a functioning alcoholic is and the signs to look for, it’s important to understand how to best approach the situation. If you have been living with a functioning alcoholic, you have likely been affected by his or her behavior in a deep way. Perhaps you are angry, resentful or anxious about their disease and it has taken a toll on your own personal wellbeing. When approaching your loved one, it’s important to put those feelings aside for a moment so you can speak to them from a place of love, concern, and nonjudgement. You want to let your loved one know you empathize with their situation and that you don’t blame them for this problem. Try approaching the problem as a team. Convey to them that it’s a problem you want to solve with them and let them know you will be there every step of the way to begin on a path toward recovery. Come to the conversation prepared with suggestions and tangible ways to help so the talk can be productive. Be sure to remain calm! Avoid raising your voice or belittling them and never attempt to have this conversation while the person is drunk. You’re now equipped with tools to spot the signs of a functioning alcoholic and more importantly, how to approach them. There are many ways to get your loved one help. Consider attending one of our live quit drinking events or purchase our book to learn more about how to help a loved one dealing with alcohol abuse.